Whenever you want to check what your employees are doing, you can use real-time screen monitoring. You can easily see the world through your employees' eyes. SurveilStar allows you to watch multiple screens simultaneous, 2*2, 3*3 and 4*4 are supported. You can monitor up to 16 screens at the same time. By default, SurveilStar doesn't take screen snapshots. However, you can create a Screen Monitoring policy to record screen snapshots and you can replay it like a video later. Default interval is 15 seconds, and it's up to you to set more or less frequently. You can save the real-time screenshot as individual *.jpg or *.bmp picture, or export the recorded snapshots as *.wmv video file. Do your employee waste time on non-work related websites? You can block them! SurveilStar records all visited websites with URL and HTML title. Once the URL is opened, it's recorded. it's meaningless to delete browsing history. 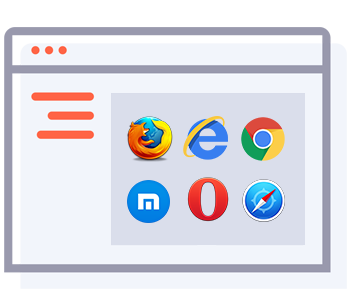 Support more than 50+ web browsers in the market, including Internet Explorer, Firefox, Google Chrome, Safari, Opera, Maxthon and more. SurveilStar allows you to manage websites as categories. You can manually add webiste URLs into categories, or add visited website directly. You can create a website policy to block the websites you don't want your employees to visit, or block the website categories you sorted. Or let them visited permitted websites only by blocking any website and adding exception. What are your employees chatting about? SurveilStar records all chatting conversations from both sides including participants, time, contact ID and contact nickname, as well as calculate sentenses and characters. SurveilStar can record messaegs from Skype, ICQ, MSN Messenger, Yahoo Messenger, Tencent QQ, Alitalk, Google Talk, and some other IM tools. Create an IM file policy to control sending files via IM. In the policy, you can block any files containting keywords, block sending pictures restrict file size and back up the file your employees want to send. If you need to block IM tools directly, you can create an application policy, which will be introduced below. SurveilStar records any documents which has been operated. Document Operation Logs will show you operation type, user, source file with extension, file size, path, disk type, applications which used to operate, etc. 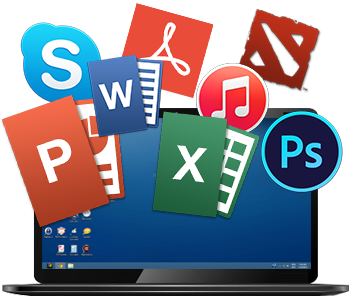 Supported operation types include Create, Copy, Move, Rename, Restore, Delete, Access, Modify, Upload, Download and Burn. Supported disk types include fixed drive, floppy, DVD/CD-ROM, removable drive and network drive. 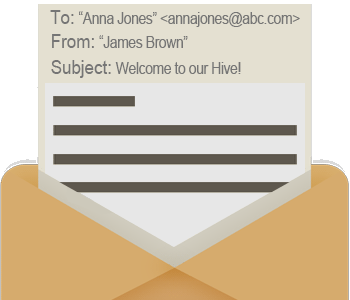 Document policy is powerful and flexible. You can control who have the prilivedges to read, modify or delete the files by file name and disk type. Do you know what your employees are working on? Once an application is launched, SurveilStar begins to record the details including start time, stop time, application name, appliation installation path, window title, etc. Similar to website category, you can sort different applications into categories, such as games, entertainment, office, design, web, tools, IM, etc. according to your need. If you don't want your employees to run a certain application, Application policy is the right solution. You can block any unwanted applications by process name and application category. Wildcard is supported. For example, blocking any one of *tun*, itunes, iTunes.exe will lead to block iTunes. 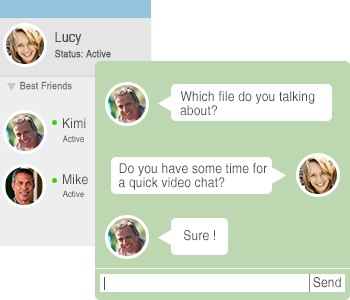 If you don't want your employees to chat in the working time, simply block the IM tools. SurveilStar records incoming and outgoing SMTP/POP3 emails and Exchange emails, records web-based emails and Lotus Notes emails. 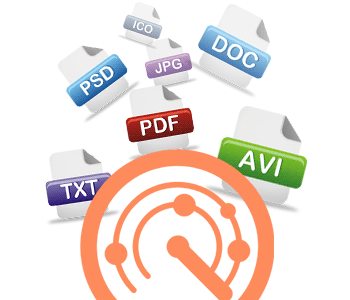 Besides, sender, recipient, CC list, BCC list, subject, content and a copy of attachments will be also recorded. If you need to prevent one or multiple spammers, block some emails addresses, restrict the employees to send emails only to permitted email addresses, prohibit sending attachments or limit email size, you can set an Email policy to achieve the goals easily. 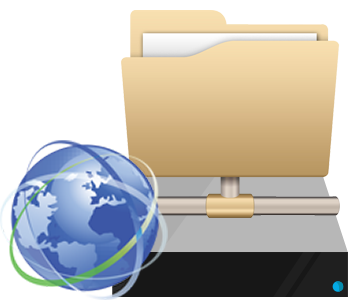 SurveilStar records a full list of shared files with operation type, remote host, source file and shared file path. You can decide whether to enable remote control or remote file transfer, or ask for authorization if enabled. Create a bandwidth policy to enable or disable IP range and/or port range for download and upload speed, this helps to prevent a lag network. Create a network policy to block IP range and/or port range for communications between internal computers and other invalid computers. Thie help to prevent virus attack and protect internal network safety. You can use upload control policy to disable uploading files to website or FTP, or limit file upload size. What did you employees print or try to print? 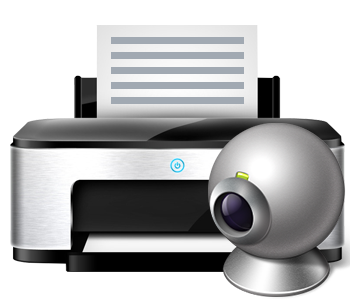 Record printing by applications, time, pages, captions, users, computers, print tasks, etc., support local printer, shared printer, network printer and virtual printer. If you need to control who can print the files, what files can be printed, or what application can be used to print, you can set up a print policy to reach the goals. SurveilStar allows you to add picture or text watermark to printed files if watermark settings policy is enabled. You can set watermark appearance like font and transparency, add PC name, user name, printed time and IP address to any position you want. Did your employee take away files with USB/removal devices? SurveilStar records all software changes and hardware changes and record Add, Delete or Change operation types. Many employees may use a removable device to copy documents in company, this may lead to a critical data leakage. You can create a device policy to decide what devices can be used. 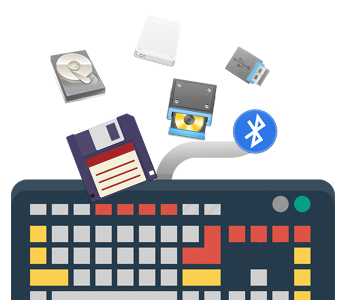 You can control storage devices like Floppy, DVD/CD-ROM, burning device, tape, removable device, etc., control communication interface devices like bluetooth, modem, USB controller, 1394 controller, etc, control USB devices like USB keyboard, USB mouse, USB storage, USB harddrive, USB DVD-ROM, etc., control dial-up devices, network devices and other devices. 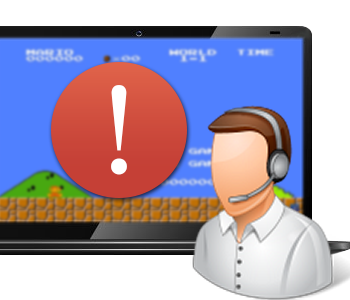 Send warnings or alerts, take immediate action when certain rule is being violated. Most policies allow you to set warning message for employees and alerts for IT administrator. 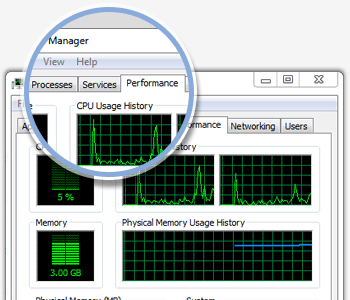 When a rule is being violated, warning message will pop up on employees' computer and IT administrator in console will get alerts. You can set to lock the computer automatically in most policies immediately if someone is trying to violate the policy rule. You can manually notify, lock, log off, power down or restart the PC. Email will be automatically sent to specified email addresses when violation is detected with specified computer or user range. So wherever you go, you know whether your employees obey the company rules or not. 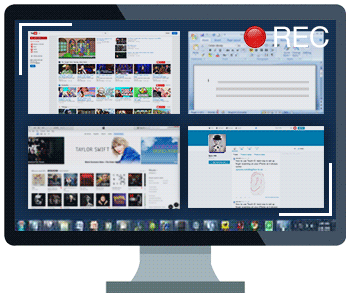 You can view real-time PC status, inicluding running applications, processes, PC performance, device manager, services, disk management, shared folders, scheduled tasks, users and groups, software management, remote control and remote file transfer. In console, you can remotely close applications, end processes, disable or enable hardwares, start or stop services, stop sharing folders, stop scheduled tasks and uninstall software. You can view all the basic information of a monitored computer, including user name, PC name, group, IP address, running status, agent version, OS, boot time, last online time, last active time, MAC address and last logon user. SurveilStar provides statistics for websites, applications and traffic. 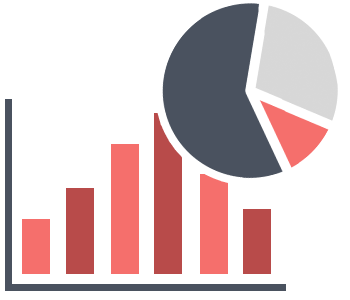 Each allows you to use pie chart or bar chart. And the chart will list top 10, top 20 or custom numbers according to your need. You can easily create multiple console accounts for different roles in the company, flexibly assign different management priviledges and control all account passwords, or assign priviledges by computer groups or user groups. When a computer is disconnected from internet and you don't want to monitor it any more, you can ask console administrator to clear the agent on the offline computer with code.